Parker and MARTA supporters need to re-engineer a mindset that’s prevailed for more than a half century. In many major cities—New York, Chicago, and Paris, for instance—transit is considered the smart, efficient way to get around town. Everyone rides the subways or buses because they’re faster and cheaper than any alternative. But in car-centric places like Atlanta, Houston, or Los Angeles, transit has been treated as the travel mode of last resort. Consider: 30 percent of people who live in the New York region commute by mass transit, compared with just 3 percent in metro Atlanta. Here, the thinking has been, you take MARTA if you can’t afford a car, if congestion is high (a Braves game! ), or if you want to avoid hassles, like parking at the AJC Decatur Book Festival. Atlanta – and, apparently, MARTA’s new CEO – frame that last sentence as a negative “mindset” that Atlantans need to get over if they’re going to join the transit-friendly ranks of “New York, Chicago, and Paris.”¹ But the reason that people in New York, Chicago, and Paris take transit has everything to do with saving money and avoiding congestion, parking, and other driving-related hassles. In other words, the difference between Atlanta and New York isn’t mindset; it’s that the same cost-benefit calculation about money, time, and comfort comes up with very different answers in each city. Transit isn’t “considered the smart, efficient way to get around town” in places like New York or Chicago – it’s is actually more efficient for many trips. On the one hand, that sort of seems like good news: Atlantans aren’t just culturally predisposed to hate taking the bus or train. (To be fair, research suggests that culture does have some impact. People who move to transit-friendly cities from car-dependent places are more likely to have cars than people who move from other transit-friendly cities. But they’re still way more likely to give up their car than if they hadn’t moved.) On the other hand, it suggests that the solution to Atlanta’s low transit ridership is a) to increase the hassle of driving there, which is not exactly a platform for re-election, and b) to make transit more efficient for everyday trips, which can be pretty expensive. Of course, it’s a little harder to be sympathetic about money problems when MARTA the city of Atlanta [update: readers have pointed out that none of the funding for this project came from MARTA, although they have provided technical assistance, for which they were compensated] just used $100 million to build a 2.7-mile streetcar that will serve only a few thousand people a day and is slower than walking. Meanwhile, for about one-eighth of the cost of the Atlanta streetcar, Milwaukee is launching three new bus lines, each long enough to reach from the central city to the suburbs, and designed not to shuttle people around a handful of downtown precincts, but to connect them with otherwise-inaccessible jobs. ¹ World Business Chicago’s collective hearts just went pitter-patter. BUT as much of a benefit as the CTA Gray Line would be to the entire city, CTA, Metra, and the RTA act like it doesn’t exist (and they have all the Media putting the big quash on it too). No, there really is a difference in mindsets. It’s not a difference in commuters‘ mindsets, but in politicians and voters’: they do not invest in urban transit systems except as a last resort, or as a cargo cult urbanist attempt to get some middle-class whites creative people to come to town and gentrify revitalize some neighborhoods. Without denying that there’s any cultural component to this, I think this is mostly about convenience, too: in Chicago or New York, investing in transit is a winning political message, because lots of people take transit. In Atlanta, that constituency is much smaller, so the only way to bring people on board is to build transit that isn’t actually about commuting. Yes, but. Look to Boston: transit usage isn’t much lower than in Chicago, but the MBTA operates on a “manage the decline” mindset, the state saddles the MBTA with Big Dig debt, and the only extensions that are being built are either ones that the courts forced the state to build as Big Dig mitigation or the South Coast disaster. Conversely, in LA, where transit is for people who live near a rail line and people who are willing to take the bus for three hours, there is political climate for more investment, and some of the lines the county’s building are actually useful. Of course, traffic in LA is terrible, but traffic is terrible in Atlanta, too, since the state shortchanges the city on road infrastructure too and not just transit. Now, we could chalk LA vs. Atlanta to race. Georgia is biracial, and full of white suburbanites and rural people who think transit is for black people. LA County is multiracial, and less than 30% white. It even explains the US vs. Europe well – not that this side of the Pond is free of racist assholes, but here everyone takes the subway, both 60th-generation Swedes and recent Syrian refugees, so the Moving Africans Rapidly Through Atlanta stereotype never had a chance to form. But it doesn’t really explain Boston. Boston if anything goes the other way – it’s so white that urban white flight was not complete, leaving a huge population of white working- and middle-class commuters taking the subway. Talking to people in Worcester, I don’t really get the impression that there’s any resentment of Boston akin to Upstate New York’s resentment of the city. And yet, the state hates transit. Alon, I agree that politician’s mindsets matter the most, however the biases of transit customers can also promote poor results. With regards to transit planning for Toronto, there’s both broad support and funding for transit expansion, but little agreement on what constitutes a good transit service. Years of bickering over subways vs. light rail plans have allowed the erosion of bus and streetcar service due to it’s perception amongst politicians and many transit users that these problems are less important or just a detail. Other details that transit customers may not understand the importance of how transit service details affect convenience. Voters my not understand the importance of routing through high-density areas when less expensive rights-of-way exist. Customers may bemoan the loss of seats, fare evasion, or stop consolidation without realizing that reducing average boarding time will reduce bunching and save time. People driving may bemoan the addition of bus queue jump lanes in situations where automotive capacity isn’t actually reduced. These are the places where changing the culture of transit in cities can make a big difference. Interesting about the Toronto case. Thanks for that. Milwaukee is a poor example to use to illustrate your point. Milwaukee, pending a very likely yes vote tomorrow, will be moving forward with a starter steeetcar system. The new bus routes you cite are a shell game to get around a structural deficit caused by recent state and previous county cuts by County Executive turned Governor Scott Walker. The county has twice now procured federal CMAQ grants intended to create new service and used it to plug the transit budget deficit. Underlying service is reduced and the bare minimum for new express service is introduced. It’s not the end of the world for riders, like myself, but it is kicking the can down the road. Thanks for this. I’d heard about the streetcar project, but I thought it was looking like that wasn’t going to go through. Also, that’s terrible news about using CMAQ for existing service. Is there any hope for a longer-term money solution? It’s been a roller coaster for the proposed streetcar, but it should theoretically all end (in success) tomorrow for the streetcar project. It will be built and operated with city funds, while the county runs the bus system. So it technically shouldn’t compete with the existing bus system for funding, and could very well help it (assuming they slightly tweak a few routes). The city government has more of an appetite to fix the transit issue, hence their movement on the streetcar. The county seems content to kick the can down the road as long as they can. In two years, there will either need to be a serious conversation about funding transit or a roughly 10% cut to the Milwaukee County Transit System. It’s a frustrating issue that is increasingly just a political football the now Governor has tossed around successfully. He raised fares, reduced service or both for every single year he was Milwaukee County Executive. His first budget as Governor gave a 10% cut in state aid to the system (which is unfortunately very reliant on state aid). The outcome of this state budget remains to be seen, but I’m not expecting him to change his tune as he’s currently running for President. Alon – Boston undertook a vast expansion of the rail system in the 1970s and 1980s. Also a large-scale rebuilding of the parts of the old Orange Line that weren’t entirely replaced, and station rebuilding all along the Green and Red lines. The Big Dig, when initiated, was promoted as an urbanist project to get rid of the elevated highway. How things changed is an interesting study — who was governor was a very big part of it, I’m sure, but there’s more to it that I don’t understand. The Orange Line north of the Charles has to be have one of the more pedestrian hostile urban rapid transit lines near a city center anywhere, the Red line though is the opposite. Both the red and orange line would have been more extensive into the inner suburbs if they weren’t blocked by NIMBYs. The proposed Indigo rail lines appears thoughtful as proposals by transit agencies go. Is the CTA really any better run? The CTA is adding bus rapid transit, which is harder to do well in Boston. Well, the fact that Menino was from Hyde Park, one of the most auto-oriented parts of the city, has to have been relevant. Menino’s personal opposition is what scuttled the plans for the Red-Blue connection. You see this in New York, too, on the gubernatorial level – Cuomo grew up used to cars, and hates transit personally. But in New York, a single governor can cause incredible damage. Massachusetts isn’t like that. It’s less autocratic, and yet the state legislature saddles the MBTA with more debt. Part of it is again racism – the MBTA sandbagged the Silver Lie railstitution, which would have given a light rail branch to majority-black Roxbury – but the Red-Blue connection would serve white East Boston and Cambridge, and most MBTA users in general are white. It’s not really about hatred of white working-class people, either – South Coast Rail serves working-class Fall River and New Bedford. Boston has a uniquely terrible road network for surface transit, as Nei notes, and this excuses lack of bus lanes and such. Well, it doesn’t really excuse it, but it requires more political support for transit to put exclusive bus lanes on a 4-lane street than on a 6-lane one. But at the same time, this should bias Boston away from buses and toward subways and Green Line branches. The Silver Lie gets stuck in traffic, because it runs in mixed traffic in downtown Boston; this should tilt the decision in favor of turning it into a Green Line branch and skipping downtown traffic entirely, and yet the state sandbagged that study. Likewise, it’s a waste of money to do the Urban Ring as BRT; this should tilt the decision in favor of build a circumferential subway paralleling the 1 or the 66, and yet, zilch. East Boston is mostly hispanic, it’s only 18% white non-hispanic. The rest of the blue line passes through some mostly white working-class inner suburbs while manages to misses the towns with more population further inland. The blue line is kinda forgotten, not just because of class or race but because East Boston is rather disconnected from the rest of the city. As for Boston’s neglect of transit, I suspect part of it is the state got burned in paying for the Big Dig that it’s hard to push for paying for a large expansion of transit or any transportation project. NIMBYs seem to have strong veto power, as I said was the state tried to do a number of expansions that end up getting blocked, and commuter rail is still better than a few decades. Some of the 70s projects had negative transportation value (say, the Orange line relocation north of the Charles). The only large project funded is the Somerville Green Line; converting the Fairmont Line to rapid transit would serve at least as many people as the Somerville extension, but the lines in wealthier, whiter Somerville got priority. A circumferential subway would be expensive on a per ridership basis even at reasonable costs: the UBC line is expensive enough and replaces bus lines that have several times more ridership as the 1 and 66, a circumferential subway would be harder to justify. I think the difference in the “transit mindset” between a New York and and Atlanta is who rides it. If rich white people ride transit, it’s a lot easier politically to fund. 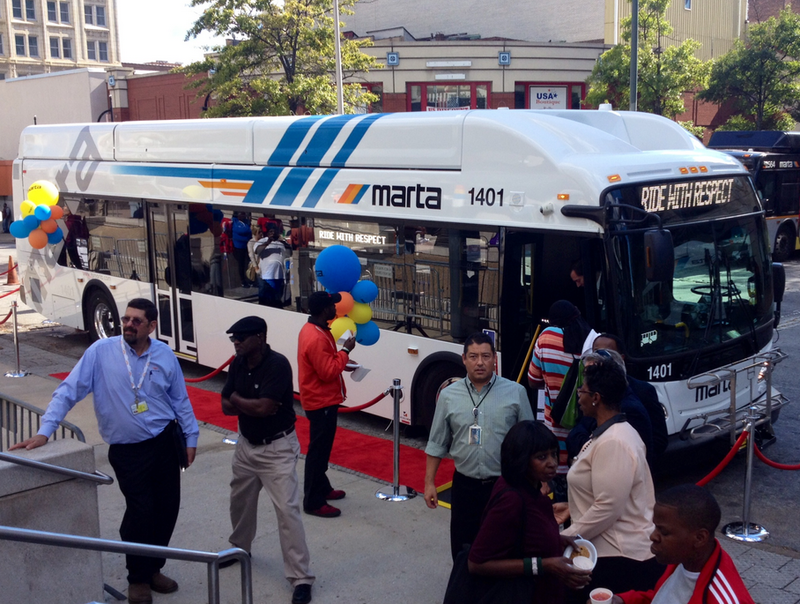 MARTA did not pay for the Atlanta streetcar. MARTA isn’t even operating the streetcar. It’s a city initiative financed by a combo of TIGER grand money and city transpo dollars. Thanks. I’m aware that the streetcar isn’t funded mostly by local dollars, and maybe I should be clearer about the distinction between the city itself and MARTA; but applying for and administering a federal grant is still a resource-intensive activity, and having chosen to dedicate those resources to this particular project seems like a bad sign to me. Transportation that isn’t support to transport people, but is instead supposed to “spur investment,” is something I’m generally pretty skeptical about. Infrastructure and mentality reinforce each other. If there’s good transit infrastructure, people tend to be more inclined to use it. On the other hand, if there’s no political support for transit, then it’s harder to create and maintain the infrastructure. I don’t think you get many cities with great transit infrastructure and no popular support for transit, or cities with a deep love of transit but no infrastructure. It’s also important to distinguish between attitudes towards bus and rail. Some people support or disdain both. But there are plenty of people who are happy to ride a train, but write off buses, even though they carry the majority of American transit passengers. They’re not “real” transit, I wouldn’t ride one. The Eno Foundation (while they were studying something else) found that all of the metropolitan planning organizations they talked to were overly focused on rail and weren’t paying enough attention to bus transit. In many cases they couldn’t even scare up a readable regional bus map. There isn’t much support among Chicago leaders to expand transit, and if it weren’t for federal dollars, I’d imagine that the recent line reconstructions wouldn’t have even happened. Currently reconstruction is most necessary on the North Red/Purple Line and the Forest Park Blue Line, but there isn’t really a timeline of when that will happen, but those projects are going to become necessary sooner or later. CTA is not taking service expansion seriously, and they haven’t for quite some time. They also fail to carry out logical improvements, such as stop consolidation and TSP. The poor service provided, combined with recent service cuts have led to falling bus ridership. CTA L lines have remained steady as they are the fastest and cheapest way to access the core. Metra remains the popular choice for suburb-to-core travelers, but the infrastructure is increasingly deteriorating. Rolling stock is quite old and generally considered to be unattractive, and the agency doesn’t seem to be inclined to add service. Luckily the tracks are generally in good order because the host railroads have to keep them working, and Metra has worked on UP-North and Rock Island track improvements. I think that the transit mindset in Chicago is really only present for core commuters. Crosstown travel is rather difficult, because CTA buses are slow and Pace buses lack coverage and frequency. CTA Rail and Metra poorly serve crosstown commuters, and because of that I’m willing to argue that Chicago is definitely a car city outside of downtown and it’s central neighborhoods. Ashland BRT is a start to fix the usability of transit in Chicago, but by no means should it be a centerpiece. There are many other crosstown corridors that deserve the treatment, and should have BRT service as well. 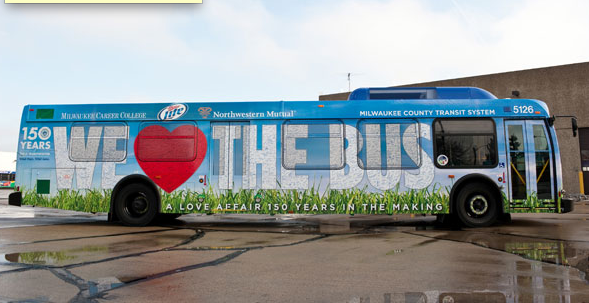 This is Illinois; however, and I am skeptical that Ashland BRT, let alone any other routes, will be implemented. As for the link’s comment that areas covered by rail have more of a transit mindset in Atlanta than those with just bus, Seattle managse to have more transit use and more of a transit “mindset” with mostly buses — its rail ridership is small compared to Atlanta. Maybe race is a factor — Seattle is too white for public transit to ever be seen as a mode for minority riders. Or the problems are more basic — even the sprawliest parts of Seattle don’t usually have sidewalkless arterials.